Dr. Babiss is currently Chief Executive Officer of Gotham Therapeutics Corp. in NYC. This company focuses on developing drugs targeting enzymes that add or remove methyl groups on mRNAs. Prior to this, Dr. Babiss was CEO of X-Rx Inc. and President and Board Chairman of X-Chem Inc., both based in Wilmington, NC. X-Rx focuses on the rapid and cost-effective discovery and development of small molecule medicines, where he had served up to 2016. Prior to his appointment at X-Rx, Dr. Babiss was the Chief Scientific Officer and Executive Vice President of Discovery Innovation of PPD, Inc., a clinical research organization, where he served from February 2010 to 2016. Dr. Babiss was formerly President and Director of Global Pharmaceutical Research at Roche, a pharmaceutical company, from 1998 until his appointment at PPD, Inc. 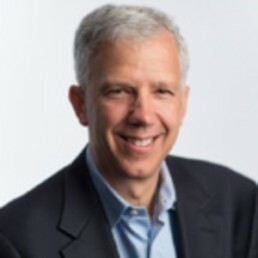 Prior to Roche, Dr. Babiss spent seven years with Glaxo, Inc., now GlaxoSmithKline, a pharmaceutical company, where he held senior positions, including Vice President of Biological Sciences and Genetics. Dr. Babiss received his doctorate in Microbiology from Columbia University and completed his postdoctoral fellowship at the Rockefeller University, where he served as an assistant and associate professor. Dr. Babiss has received numerous fellowship awards and grants and serves on several scientific advisory committees and boards. Dr. Babiss has published over 60 peer-reviewed scientific papers. Dr. Babiss’ brings over 35 years of experience developing and leading research and development programs. His strategic leadership and product development knowledge provide a valuable perspective to the Board. Dr. Babiss serves on the Boards of Athersys, a stem cell company, Quadriga, focusing on Cancer therapeutics, and BioAtla, a specialized monoclonal antibody company. Dr. Babiss serves as a consultant for numerous Biotech companies and VCs.